Representatives from SiREM, the treatability lab division of Geosyntec, will be speaking at a number of site remediation short courses in New England this spring, jointly hosted with Tersus and PACE. These short courses are taught by people who really know in situ remediation and are eager to share their knowledge. At these events, you will connect directly with industry-leading practitioners as they highlight the latest ideas for contaminant source area delineation, bioremediation, and sustainable remediation technologies. The short courses will be held in Hartford, CT (May 8), Providence, RI (May 9) and Woburn, MA (May 10). The theme of these short courses is Optimization and Monitoring for Bioremediation of Chlorinated Compounds. More information and registration can be found at http://www.remediationseminar.com/. The short courses are free to attend and include lunch and professional development hours. The available presentations from the EBC Site Remediation & Redevelopment Program – Contaminants of Emerging Concern – Updates on PFAS on April 24, 2018, can be viewed below. 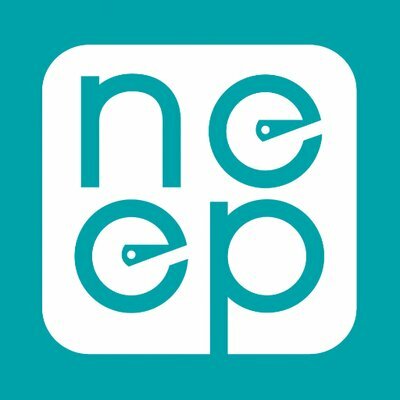 Northeast Energy Efficiency Partnerships, Inc. (NEEP) has some great events coming up! Please see listing below for more information. Join the NEEP EM&V Forum for our Annual Public Meeting to discuss the latest and most popular issues in EM&V. How can EM&V be most helpful to an industry navigating change in technology, business models, the integration of multiple resources, and environmental policies? This meeting will be working through the most critical evaluation considerations for new program models (such as pay for performance), new measures (such as evaluating controls for lighting and HVAC), and new data sources that inform the future of EM&V. The agenda will feature deep dive conversations on a variety of topics, including TRMs and their role in the future, cost-effectiveness and non-energy value of efficiency resources, and how stakeholders – from researchers and utilities to policymakers – can embrace innovation in the EM&V space while also leveraging what already works. This one-day workshop will tackle the important issues facing EM&V today and into the future. NEEP also invites you to kick off this Annual Public Meeting with a reception co-hosted by AESP Northeast Chapter on Monday, May 7 from 5:30 to 7:30 p.m. at the Radisson Hotel. Come network with your peers during this informal gathering. If you are only able to join the reception, select the ticket “Reception Only” on EventBrite (free for AESP members). Renewable heating and cooling technologies – including air source and ground source heat pumps, solar thermal, and biomass heating – are increasingly seen as important solutions to a low-carbon future in the Northeast and Mid-Atlantic region. The Renewable Thermal Alliance (RTA) and Northeast Energy Efficiency Partnership (NEEP) are inviting you to a workshop to explore how the region can work collaboratively to accelerate the adoption of renewable heating and cooling technologies that will ultimately transform the way we heat and cool our homes and businesses. The two-day workshop will offer a plenary session covering topics relevant across clean heating and cooling technologies (day one), while day two will include several technology and project-specific breakout sessions. The NEEP Summit returns after a year hiatus, highlighting leading examples of advanced efficiency as a key pathway to building a low-carbon future. The NEEP Summit attracts more than 250 energy efficiency stakeholders, including high-profile policy leaders like public utility commissioners, environmental regulators, state legislators, state officials, and community leaders as well as energy efficiency service and product providers, program administrators, and advocates who are instrumental in keeping the Northeast and Mid-Atlantic region a nationally-recognized energy efficiency leader. The 2018 NEEP Summit will take place at the brand new, upscale, and energy efficient Cambria Hotel & Suites in Middletown, Rhode Island. Just a stone’s throw from the classic coastal town of Newport, this new resort will be home to NEEP’s two-day Summit featuring an exciting agenda highlighting leaders and leading examples of advanced energy efficiency solutions and approaches. Join the dialogue. Connect with peers. Learn from leaders. Be inspired. The Summit will feature collaborative dialogues and discussions, inspiring keynotes, deep-dive breakout sessions, and other opportunities to connect and partner with regional leaders to accelerate advanced energy efficiency solutions. Topics to be explored include: advanced integrated efficiency solutions, advanced EM&V, efficient resilient communities and strategic electrification. WARE – April 19, 2018 – The Baker-Polito Administration today awarded $4 million in grants to 36 drinking water and wastewater facilities across the Commonwealth to help these facilities reduce energy use, increase energy efficiency and generate renewable energy. Awarded through the Gap Funding Grant Program, these grants will expedite implementation of previously assessed energy efficiency and clean energy generation projects at municipal treatment facilities. The program is designed to fill the last “gap” in project financing, enabling facilities to use utility incentives and funds from other sources to build or install selected energy efficiency and clean energy projects. The announcement was made by state environmental officials during an event in Ware as part of the Commonwealth’s celebration of Earth Week. Today’s awards are expected to leverage $1.3 million in additional energy utility incentives, leading to the installation of $17 million in clean energy improvement projects. These 36 projects, taken together, are projected to generate approximately 9.6 megawatt hours in annual electricity savings or onsite energy generation, sufficient to power 234 households, reduce carbon emissions by 3,015 tons, and result in savings of up to $1.3 million annually. All projects are expected to be completed and operational by the end of 2019. Energy use at wastewater and drinking water treatment facilities is a major contributor to overall energy consumption for many cities and towns, with communities statewide spending approximately $150 million per year on electricity to treat 662 billion gallons of wastewater and drinking water. About 30 percent of municipal energy use derives from water treatment. The funding for the second round of Gap funding grants is made available by the Department of Energy Resources (DOER) through Alternative Compliance Payments from retail electricity suppliers. More information on the gap funding grant program can be found here. Building on the Baker-Polito Administration’s commitment to increasing energy efficiency, Governor Baker recently filed legislation which would require that a home energy scorecard, energy rating, and information on recommended energy efficiency improvements be provided to homeowners as part of free residential energy efficiency assessments, and after January 1, 2021, would require that home energy performance ratings be made available to potential homebuyers when one to four unit family homes are publicly listed for sale. Additionally, Governor Baker recently filed legislation to authorize over $1.4 billion in capital allocations for investments in safeguarding residents, municipalities and businesses from the impacts of climate change, protecting environmental resources, and investing in communities. Under the legislation, DOER would be directed to create a new clean peak standard for electricity suppliers to increase the usage of clean energy during periods of high, carbon intensive, and expensive electricity demand.